Today my mind is focused on the pollution on TV. Most every channel has something on it that is not good. Our society is running crazy with all kinds of evil and wickedness. The devil is having a “hay day”. So many shows on television are now showing new ways to kill, new ways to blow things up, all kinds of sexual misconduct, and pushing the lines of what is acceptable to show on public television. The definition of “morals” has broadened beyond Biblical definitions and God is sad. He is so disappointed in mankind. We must continue to pray against all forces of the devil winning this battle. 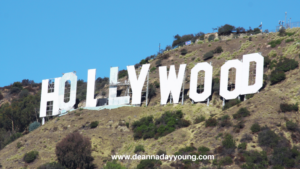 I must say that I get caught up in the excitement of the Hollywood lives being reported on entertainment news shows and in the entertainment magazines. The lives of the rich and famous are interesting and sometimes exciting thinking that people are being sought after by “normal people” like me for their autographs and live lives that have no boundaries on money and fame. They are hanging out with other famous people in exciting places. Let’s get caught up in the lives and purpose for which we were created and start craving what God has designed for us. We are each created uniquely and we must search our hearts and pray to our Father in heaven for direction for our purpose in our non-Hollywood lives. Romans 8:8 says that those controlled by the sinful nature cannot please God. I want to please God. Therefore, I must pray against being controlled by the sinful nature. That’s not easy because we are all sinners. But I want to continue to pray against the ways of the world and against the ways of the devil and be led by the Holy Spirit to live out my life to the purpose God has called me to live. Wanna join me on this road to find our unique purpose in our non-Hollywood lives? This entry was posted in devotional, inspirational, motivational, spiritual on January 27, 2019 by Deanna Young.